By 1930, US banking syndicates owned 80% of the most fertile land in Puerto Rico. 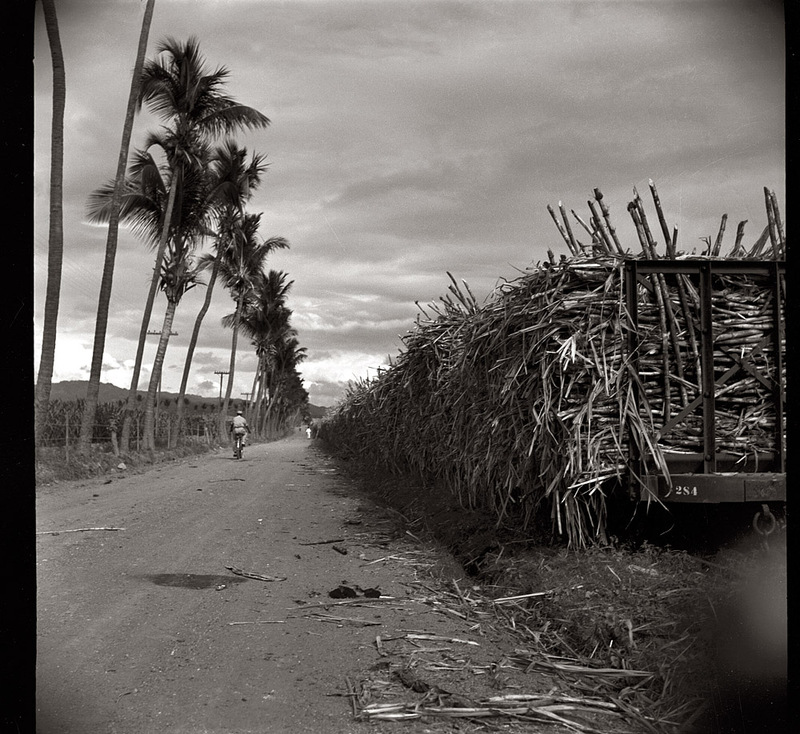 Four sugar cane centrales alone – Guánica, Aguirre, Fajardo, and East Puerto Rico Sugar – owned over half the farmland in Puerto Rico. The banks also owned the entire costal railroad, the insular postal system, and the San Juan International Seaport. Puerto Rico became a sugar empire, and the profits poured into Wall Street investment banks for fifty years – even during the Great Depression. Here is one of their daily sugar cane trains, in 1938. The author correctly identifies past actions that took advantage of the island. There is no disputing that the USA was motivated by self interests and its own prosperity. What is missing however is why the Puerto Rican people on the island lack the will to rid themselves of its crooked politicians and demand independence. At which point is it not the aggressors fault but the fault of the people that freely allow the abuse to continue. The environment has never been better to achieve self governance. Un error en mi comentario. Debería decir: …”y NO el del pueblo puertorriqueño”. Thank you. Very nice and informative. Interesting, the photo isn’t here for me …. but shows on the FB reblog link …. ?? Sugar cane train …. the main “industry”, at the time!!! Hi there!! Love all the info your are sharing … the “historic photo” is a great idea. Wanted to let you know … the last picture isn’t showing. Looks like when you have a “dead space”. Reblogging anyway! Paz ….. viva PR!! !